The symbol of the Phoenix bird fascinates me. Being reborn from the ashes of the past has allowed me multiple careers, reinventions, and “provings.” In the Bruce Coburn song, Pacing the Cage, the lines “I’ve proven who I am so many times/the magnetic strip’s worn thin,” is a testament to this. I feel the time is ripe for a convergence of all the previous redirection and believe the thinness of the magnetic strip can expose one’s true nature. 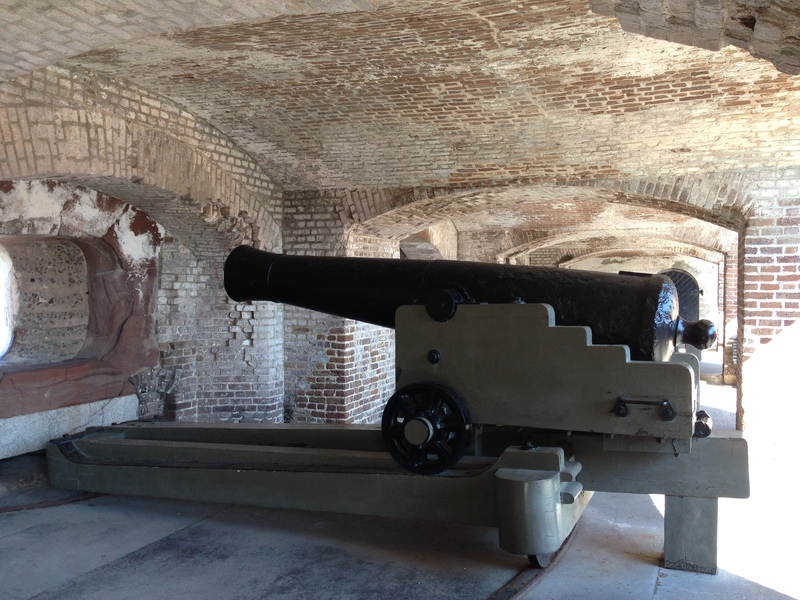 I guess it was this fertile symbolism coupled with my current recon mission, which moved me to tears today, as the National Park Service Tour Guide completed his interpretation and tour of Fort Sumter. 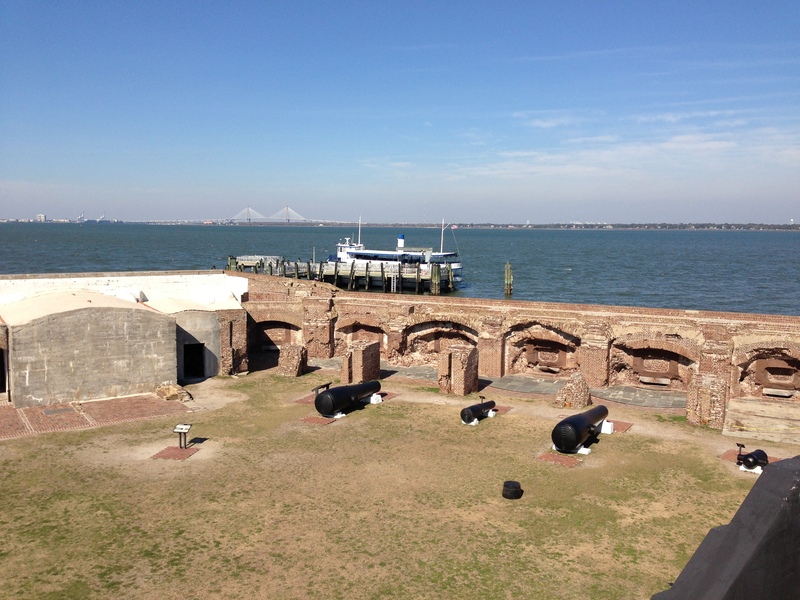 When he said, and I am paraphrasing, “The National Park Service leaves this fort in ruins to represent the awful disaster of the Civil War and to remember those 750,000 men, women, and children (2% of the population at the time) who died. From this, we have risen from the ashes to rebuild and become one.” All of the 50 people on the tour were silent to let it soak in. Word. Unity and creativity can make much rise from the ashes. 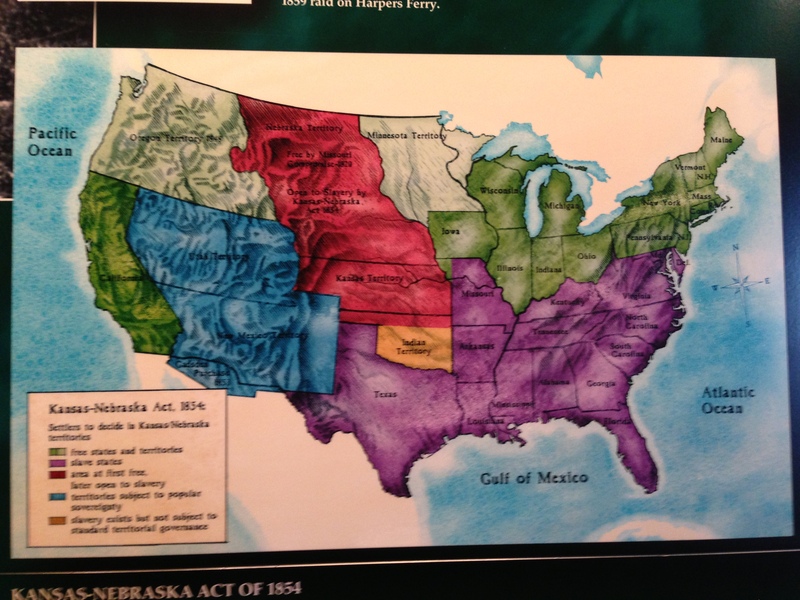 This map from the Park Service Visitor’s Center depicts slave holding and free states at the time of the Kansas-Nebraska Act of 1854. The legend says: Green: Free; Purple: Slave; Red: First free, then slave; Blue: Subject to popular sovereignty. This designation of Free or Slave was one of the many issues, which agitated those in power and led to the war. I won’t digress into the “Red State” vs. “Blue State” moniker affixed by the media to emphasize our voting habit differences because definitions of who we are can be so narrow and limiting. Looking at the map this morning, it seemed familiar, perhaps i had seen something similar last November. 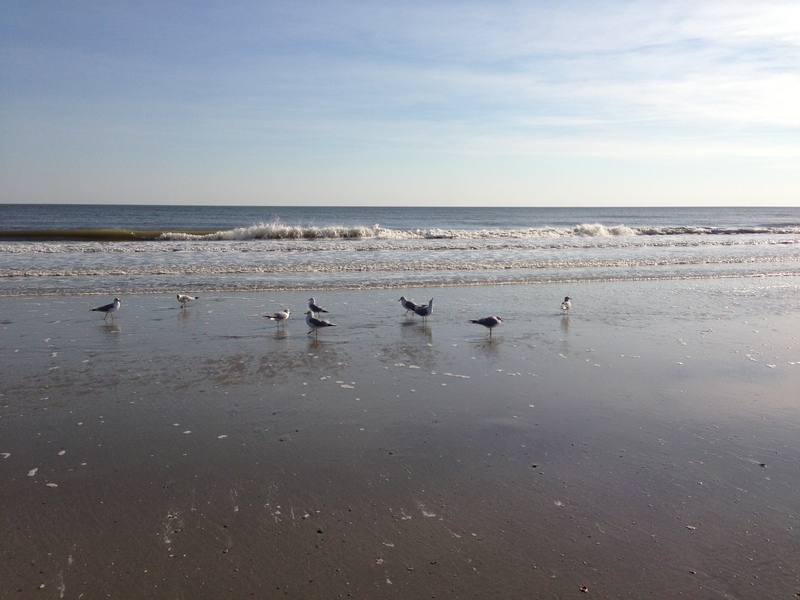 A cursory exploration of Charleston’s surrounding areas led me to Folly Beach on James Island. The wide-open space was calling and with a brisk North/Northeast wind I got my mind blown out. 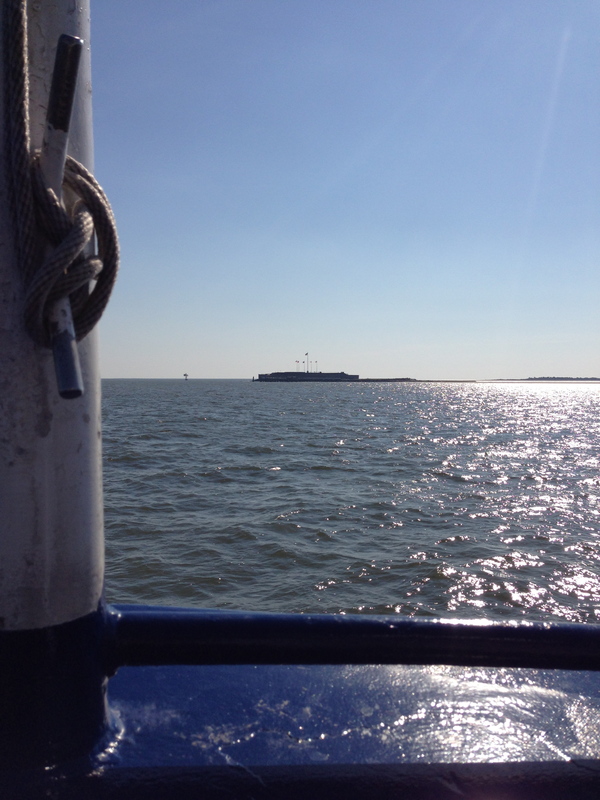 The smell of the sea, the sound of the sea, the movement of the sea is like a rhythmic blanket. On the Underground Railroad different patterns or colors of quilts were used to signify safety or warning to escaping slaves. The sea is my quilt. 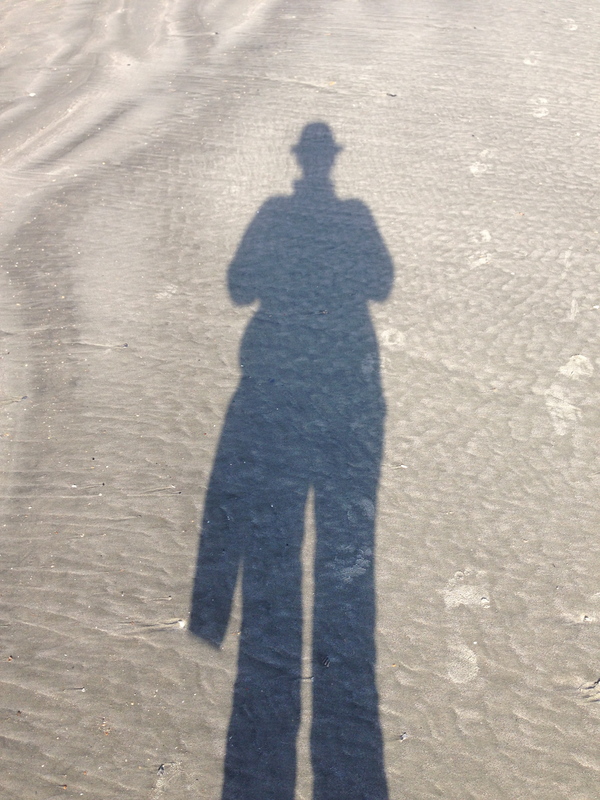 Today it signaled regeneration and I heard Carry on My Wayward Friend as I stood on the sand.